Cinque Terre is a rugged coastline on the Italian Riviera and consists of the five beautiful hillside towns Monterosso, Vernazza, Corniglia, Manarola and Riomaggiore. The five towns are connected by footpaths, for example the famous sentiero azzurro which connects all five villages. There is also a train- and boat connection between the towns. Monterosso is the biggest of the five towns and has the most amenities. Many hotels are situated in the newer part, Fegina. In the old town you will find seafood restaurants and nice shops. 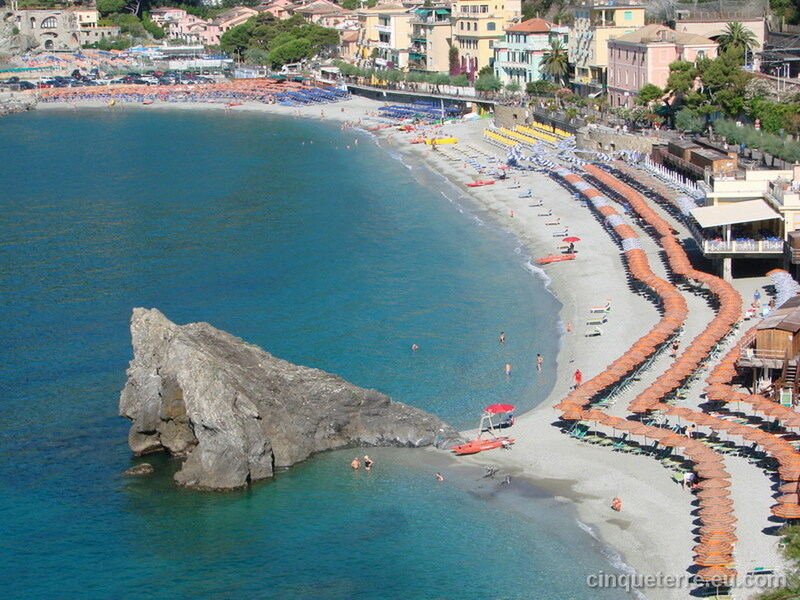 Monterosso has the only long and sandy beach in the area where you can rent chairs and umbrellas or a kajak to explore the many coves around the coast. Vernazza has a natural pier with an amphitheatre shape making it maybe the most photographed village of the Cinque Terre. 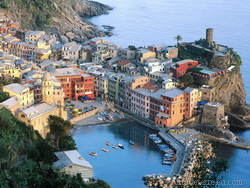 In Vernazza there are only a few hotels to stay in but several B&Bs and private rooms for rent. The tiny port is surrounded by colourful typical Ligurian houses and the charming piazza is lined with good restaurants and bars. 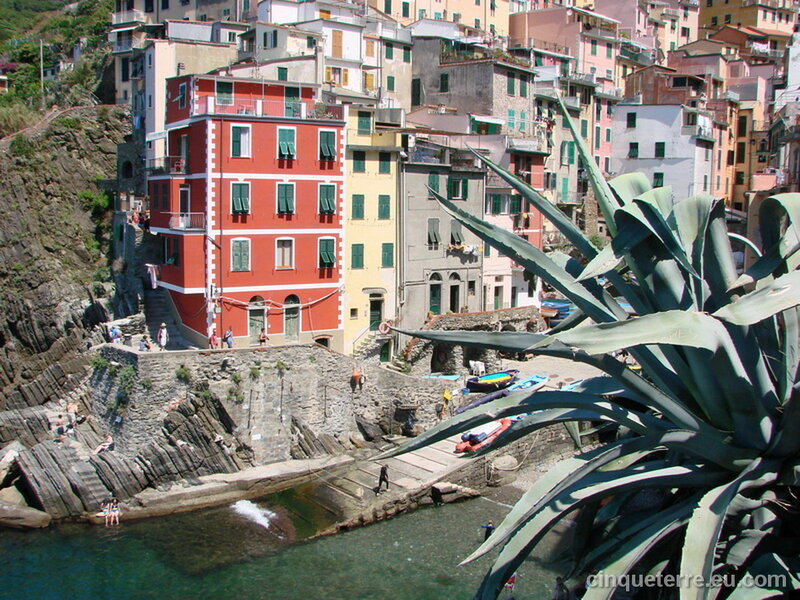 Corniglia is located in the middle of the five towns. It is the only village which is not built directly on the sea but on a cliff 100 metres above sea level. Corniglia is probably the most genuine town of the five and with the least amount of tourists. Corniglia is connected to the other villages of the Cinque Terre by well kept footpaths and a train connection. Manarola has a tiny harbor with a boat ramp, picturesque multicoloured houses facing the sea and a tiny piazza with seafood restaurants. In Manarola starts the famous path Via dell’Amore (Lover’s Lane) which is a very scenic path that leads you to Riomaggiore in only 20 minutes. 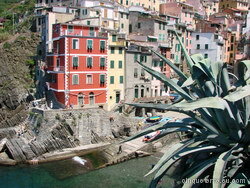 Riomaggiore is considered to be one of the most peaceful and quite villages of the Cinque Terre. Riomaggiore is basically a cascade of multi-coloured houses in the typical Ligurian style, all tightly clustered around a tiny natural harbour carved out in between the rocks. 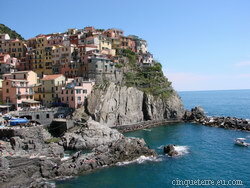 The Cinque Terre is a cultural landscape of great scenic and cultural value. The disposition of the small villages and the shaping of the surrounding landscape, overcoming the disadvantages of a steep, uneven terrain, encapsulate the continuous history of human settlement in this region over the past millennium.